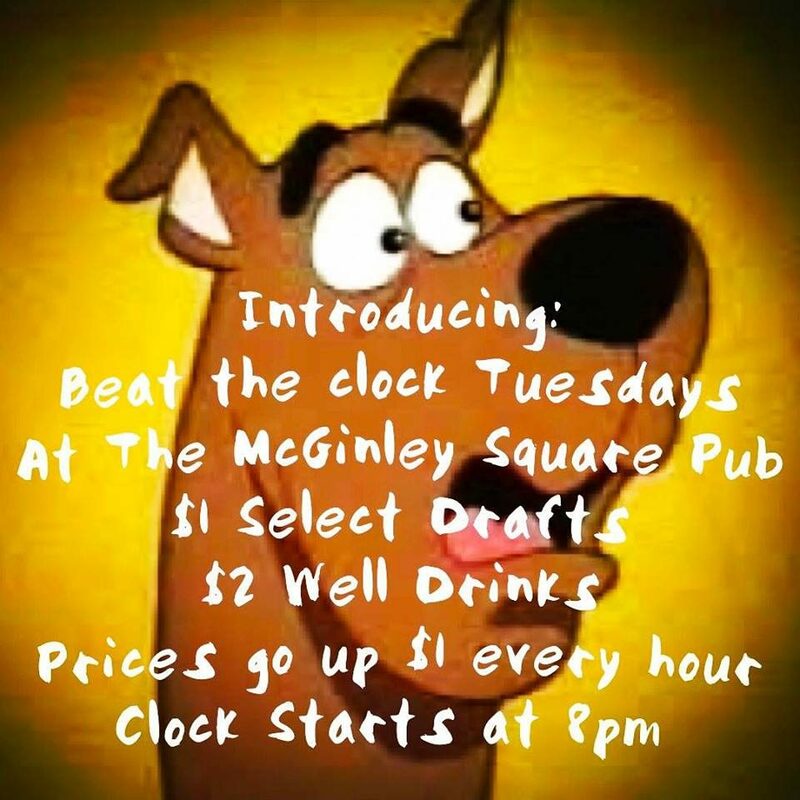 Introducing Beat The Clock Tuesdays at the McGinley Square Pub!!! - 755 Montgomery St Jersey City, NJ $1 Select Drafts $2 Well Drinks Prices go up $1 every hour. Clock Starts at 8pm. COME SHOW US YOUR BITS EVERY 2nd & 4th SATURDAY IN JERSEY CITY. Join hosts Mark Henely and Angela Sharp at vintage craft beer and burger spot, McGinley Square Pub, to work out those bits before you head into NYC. 12 Minute walk to/from Journal Square Path Station. Sign up at 3:30pm Show at 4:30pm 1 item minimum to sign up 5 Minute Sets New and first time comics welcome. We love you.